The world’s biggest annual sporting event is underway with 198 professional riders from 22 teams racing over a cramp inducing 3,540 kilometres. The 3-week endurance event started in 1903 with the now famous yellow jersey introduced around 1913. Why is the yellow jersey yellow? Sponsors have had an influence on the event from the very beginning with the colour chosen to reflect the yellow newsprint of the organising newspaper and main sponsors, L'Auto (now L’Équipe). Similarly, the points classification, which determined the overall winner in early events but was later scrapped, was reinstated as an additional competition in 1953 to celebrate the 50th birthday of the Tour de France. The colour green was chosen because the sponsor at the time was the popular lawn mower producer, La Bella Jardiniére. Although the King of the Mountains was first recognised in 1933, the distinctive polka dot jersey was not introduced until 1975. The unusual colour scheme was decided upon by the then sponsor, Chocolat Poulain, whose chocolate bars were covered in a polka dot wrapper. Today, the event is a global platform for sponsors and is broadcast in 190 countries to an estimated 3.5 billion viewers. Alongside mega TV viewership figures the Tour de France can also boast about being the best attended annual sports event in the world with an estimated 12 million spectators lining the roadside, 20% of which are from outside France. Letour.fr receives in the region of 34 million unique visitors annually while a thrilling back stage tour of the race has helped to push the tours combined Facebook, Twitter and Instagram following to 6.27 million. While the minimum salary for a UCI World Tour rider is a measly €36,300 it is estimated that two-time Tour de France winner Chris Froome re-signed with Team Sky in January of 2016 for £4 million annually and top sprinter Mark Cavendish earns in the ballpark of €2 million per year with Team Dimension Data. Two-time World Champion and fan favorite, Peter Sagan was rumored to be negotiating a contract worth €6 million annually at the start of the 2017 season. Sagan is now taking an unscheduled summer holiday after the Bora-Hansgrohe rider was disqualified on stage 4 after he was judged to have taken down fellow sprinter Mark Cavendish who is now recovering from a fractured shoulder blade. Typically, professional cycling teams that compete at UCI World Tour level will receive around 70% of their total operating budget from a title sponsor or co-title sponsors. Due to the hefty figures involved in modern day cycling, co-title sponsorship has become a more popular option with 12 of the 22 teams taking this approach for the 2017 season. Due to the global exposure enjoyed by teams who are adorned by sponsor logos and referred to in print and commentary by the sponsors name, a number of countries and government bodies have supported teams directly. The Astana team is named after the capital city of Kazakhstan and funding is reported to be provided by multiple government and business sources. At the start of the 2017 season, the United Arab Emirates rescued the failing Lampre cycling team and took over naming rights. Just months later the national airline, Emirates, signed as a co-title sponsor and the team stated their ambition of being a top 3 ranked team in the next 3 years. In total, there are over 300 brands sponsoring teams in the top UCI World Tour tier of cycling with cycling and outdoor brands unsurprisingly the most active in the space. Financial services, manufacturing and industry, consumer goods, telecommunications, national lotteries and government also have a strong presence in professional cycling. A 2013 report revealed that the average media exposure per UCI World Tour team was $88.4 million, justifying the sizable investment required. 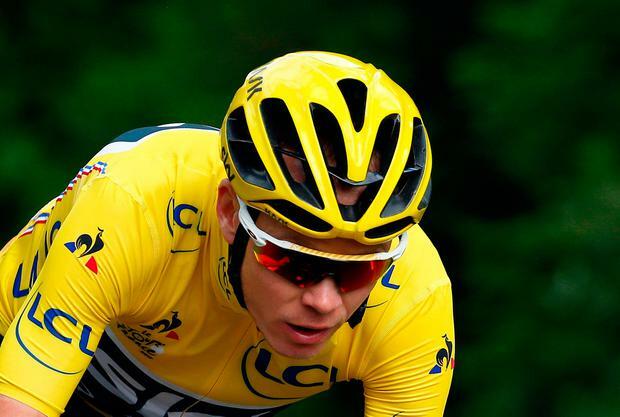 Team Sky’s success in the 2012 Tour de France, when Bradly Wiggins became the first British winner, generated over $550 million of equivalent advertising value to its sponsors according to the Repucom evaluation research. Scott Graham is a consultant at Teneo Sports, Ireland’s leading sponsorship consultancy and member of Teneo PSG Group.